Social trading platform ahead! Read more at Collective2 review here! Collective2 is a company with headquarters in New York, United States. It has been providing social trading services to the customers since 2012. Collective2 is fully regulated by CFTC and is the member of NFA (National Futures Association) with 93,000 currently registered users. In this review we will discover all the positive features and probable drawbacks of Collective2 social trading platform. Let’s start! At Collective2 trading network you are given an opportunity to create a free account and become either a Follower or a Trade Leader, or even the mix of both. As the Follower, you can subscribe to created trading strategies. On the other hand, being the Trade Leader allows you to produce your own trading systems and sell trading signals to your subscribers. Beside conventional way to sign up with email, you can proceed with registration by using Facebook, Google+ or Linkedln. Account currency depends on the broker you choose. Right now the following currencies are available: USD, EUR, GBP, JPY, AUD and others. Unfortunately, there is not Collective2 demo account in access. Creating a trading system is free. However, to keep your strategy listed on Collective2 site you have to pay $120 every 6 months. Another fee that Trade Leaders pay is $105 for any extra strategy added within one month. In addition, you can ask about the discount for ten or more strategies generated.We should also mention that Collective2 charges a flat 30% fee for any subscriptions that traders collect through this social trading network. It also includes credit card costs – there are no extra regular Collective2 fees. Prices for strategies are established by system developers. Therefore, strategies available can be both cheap and quite expensive ones. This depends on how much funds you are ready to invest. Note that most strategies offer free trials, which usually last for 7 days. The core technology of Collective2 social network is called AutoTrading. 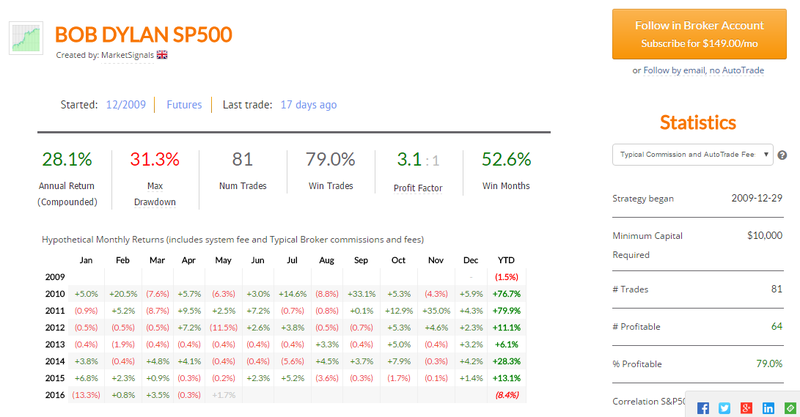 This feature enables you to pick any system on the website and have its trades placed automatically in your live brokerage account. We will talk about its technical specifics a bit later in detail. Collective2 allows you to utilize the Simulated Brokerage Account (SIM) with virtual $100k, which is completely free of any AutoTrading fees. However, this cannot be considered a demo account, since the main aim of SIM is just to give you a prospect of AutoTrading, not the whole network experience. This trial period is available only for 7 days. If you decide to open a real-money brokerage account, be ready to pay the costs. At all Collective2 partnership brokers you will be charged various commissions and spreads. For example, average spread for EUR/USD pair is 2.5. pips. Generally, Collective2 network supports more than 10 third-party brokers. Unfortunately, no integrated broker solution is offered. 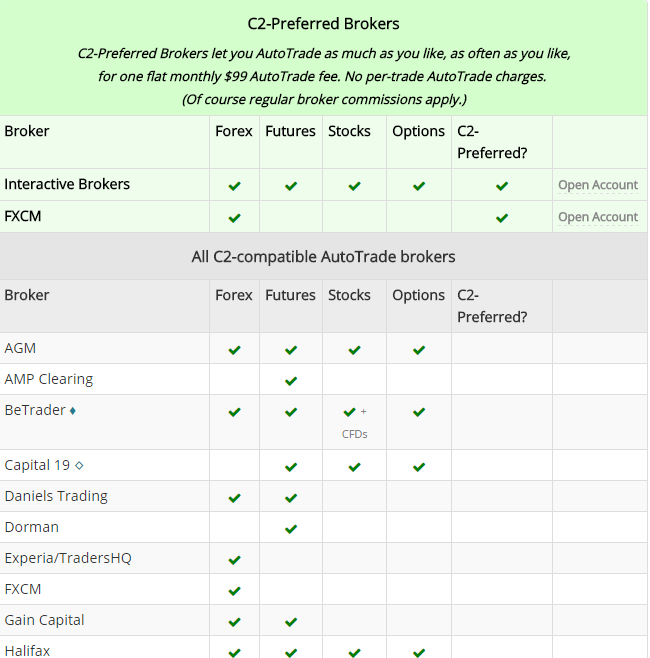 Additionally, there is a category of brokers called “C2 Preferred”, where you can find the best broker for Collective2 available. Theoretically, these brokers offer the lowest cost for traders at this social platform, although it is still questionable for us. 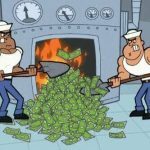 The thing is that Collective2 once again charges you a steady $99 fee per month for employing AutoTrading. The possible benefit is that AutoTrading subscription grants you an unlimited choice of strategies to follow. Moreover, it does not matter how frequently you trade and how large your trades are. You are not bounded in the choice of tradable instruments as well. We would say that this price is comparatively fair to pay and most Collective2 reviews would agree on that. If you wish to start AutoTrading for the first time in a live brokerage account, you have to submit an email to the selected broker. After 1-3 business days you will receive the approval. Note that there is no information about rollover fees at C2. As we have mentioned, AutoTrading is the cornerstone of copy trading at Collective2 investment platform. As you can see at the image, all AutoTrading users can manually control all the trading activity directly from the control panel on the platform. By checking “The Grid” we discovered that there are currently 650+ trading strategies to follow. Since you are most likely interested in choosing the best ones, you can simply check the “Leading Strategies” section. In fact, the traders’ pool is not big and it would be rather easy to sort the wheat out of the chaff. At Collective2 investment network, all the information about system developers is shown at their profiles. Such info includes: Instruments, Annual Return, Maximum Drawdown, Number of Trades, Win Ratio, Starting Capital. Another feature that is displayed at the strategy description is called Heart-Attack Index. This Index measures all the possible risks, by calculating the probability of substantial drawdowns. Beside these characteristics, you can see the full trading record, hypothetical performance etc. Fortunately, it is possible to download trading record in csv. In our opinion the downside of Collective2 is the scarce risk and money management settings. In fact, the only parameters to set when you copy the strategy are: Trade Scaling Percentage and Stop Loss. We hope that the concept of Stop Loss is more or less clear to you, therefore let’s discuss Trade Scaling Percentage in our Collective2 review further. When you determine scaling percentage, you basically tell your broker how big the trades at the selected strategy should be. Hence, if you trade with 100% you will copy the same trade size as the strategy provider. Collective2 should definitely work more on risk and money management features, because what it offers now is not enough. Collective2 encourages all proficient traders to create their unique strategies and profit from this. However, it can still be unclear for someone what are the real benefits from selling strategies at this social platform. Let’s identify them. It is on the behalf of AutoTrading to deliver the signals to your subscribers, and you do not have to do anything manually. All what is expected from you is just to enter buy/sell signals through Collective2 social trade platform. 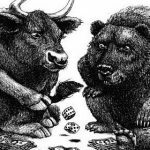 Afterwards your strategy becomes auto-tradable at all supported brokers. 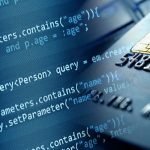 To develop the trading strategy, C2 supplies you with a wide range of software to use, including its own programming language called Seetu. If you are familiar with other popular software options, you can use TradeStation, MetaTrader 4, NinjaTrader and MultiCharts. In order to publish the buys and sells at Collective2 copy trade you are able to apply web entry, email and signal entry API. 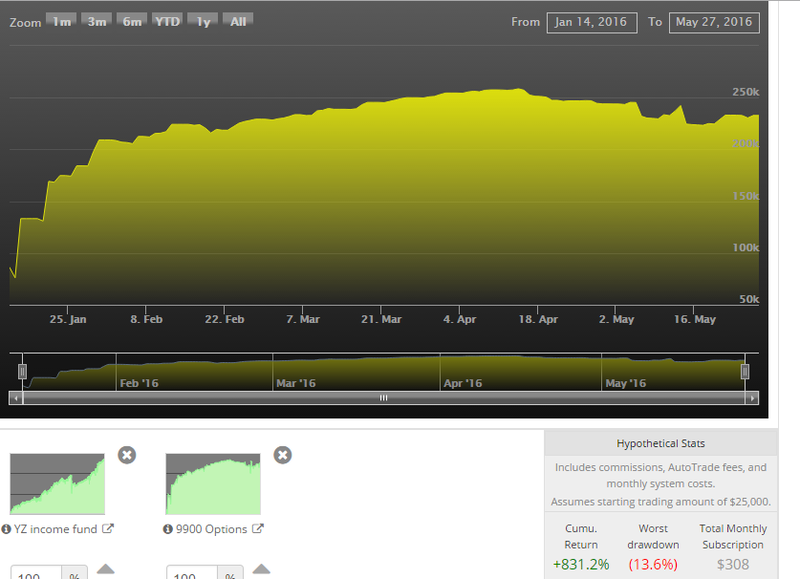 System subscribers have multiple options to receive the trading signals. This means that they can sign up for AutoTrading, or receive signals through email, instant messenger or mobile phone. To offer first-class business support, Collective2 provides you with various subscriber management tools: customer pricing for the followers you designate, special coupons to distribute, private email broadcasts and private forums for subscribers. Collective2 social trading offers nice social community features. At C2 all users can utilize forums to discuss different issues. In addition, every follower can write a review on a certain trading strategy, which will be in the constant access regardless whether it is positive or negative. Full transparency of feedback is ensured and all users are able to share their Collective2 opinions. Furthermore, this social trading network promotes integration with Facebook and Twitter. Customer support agents were helpful in answering our questions. Their response time on email is usually no more than 2 days. If you have any Collective2 complaints or questions you can contact client support by using email or phone. What’s more, you can find a lot of useful information by watching their platform video guides. The website operates in 4 languages: English, Hebrew, Chinese and Russian. To pay for listing, subscription or any other kind of fees you can use MasterCard, Visa, American Express and Discover. This social platform does not accept Maestro debit card, yet it is not a serious reason to call Collective2 scam. If you are a system developer, then Collective2 is obliged to pay you money for your successful trading activity. How? Well, we have discovered that payments are transmitted through PayPal to the email address associated with your account at Collective2 copy trading. It is not necessary to set up a PayPal account before your first remittance payment. In fact, PayPal will notify you that you have a payment waiting and will enable you to set up your account and collect your deserved funds thereafter. If PayPal does not operate in the country of your residence, Collective2 can find other solution in which checks can be mailed to you. However, this additional service will cost you $10 per each check. We should also admit that the checks will be drawn on a US bank and be payable only in US dollars.